Cy Young won 511 games during his career, 94 more than second-place Walter Johnson. Major League Baseball recognizes the player or players in each league[a] with the most wins each season. [b] In baseball, wins are a statistic used to evaluate pitchers. Credit for a win is given by the official scorer to the pitcher whose team takes and maintains the lead while he is the pitcher of record. If a game is tied or if the lead changes to the other team, all pitchers who have participated and exited the game to that point are unable to receive credit for the victory. A starting pitcher is ineligible for the win if he has not completed five or more innings of the game; instead, the scorer would award the victory to the relief pitcher who was "most effective... in the official scorer's judgment". 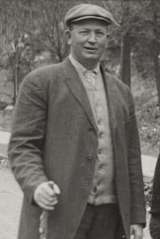 The National League's first win champion was Albert Spalding, who led the senior circuit with 47 wins after leading the semi-professional National Association in each of its five seasons. Hall of Fame pitcher Cy Young led the American League in wins in each of its first three years (1901–1903), amassing 33, 32, and 28 victories in those seasons for the Boston Americans. Warren Spahn leads all players with 8 win championships for the Boston and Milwaukee Braves in his 21 seasons. Three players have led their league in wins six times during their careers. Grover Cleveland Alexander led the National League in victories six times, with a single-season career-high 33 wins in 1916. In the American League, two pitchers have accomplished the same feat: Walter Johnson, whose 36 wins in 1913—his first season leading the league—were a single-season career high, and Bob Feller. In addition to his three American League wins, Young also led the National League twice (1892, 1895) to amass the third-highest total of win championships in major league history. Joe McGinnity and Tom Glavine also captured five wins titles in the National League. Pitchers who have led their league four times include Steve Carlton, Roger Clemens, Christy Mathewson, Hal Newhouser, and Robin Roberts. Charles Radbourn holds the Major League single-season record for most games won. Charles "Old Hoss" Radbourn holds the single-season record for the most games won in a major league season; he notched 59 victories in 1884. There is a discrepancy in Radbourn's victory total in 1884. The classic MacMillan Baseball Encyclopedia, as well as other sources credit Radbourn with 60 wins (against 12 losses), other sources place his win total as high as 62. He and John Clarkson (53 wins in 1885) are the only pitchers to exceed 50 wins in a single season in the current major leagues; Guy Hecker also accomplished the feat in the American Association. 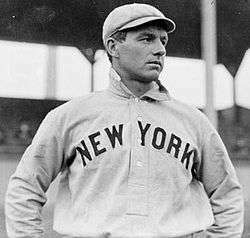 The American League leader is Jack Chesbro, who won 41 games for the New York Yankees in 1904; his total is the highest since Major League Baseball's consolidation in 1901. The highest total in the National League since 1901 is Mathewson's 37 victories in 1908. The largest margin of victory for the title is 21 wins, achieved by Clarkson in 1889; he won 49 games, while his closest competitors (Charlie Buffinton and Tim Keefe) won 28 each. 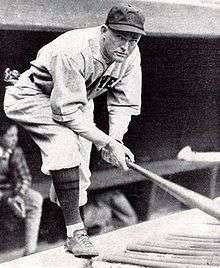 The American League title's largest margin of victory is 16 wins—Ed Walsh notched 40 wins in 1908, followed by Addie Joss and Ed Summers with 24 victories. The number of wins required to lead the league each season has gone down significantly over the last century. For example, from 1900–1920, the average number of wins for the AL league leader was 30.8; from 1990–2010, it was 20.9. Ties for the win championship are common. The most recent tie in the American League was in 2012, when Jered Weaver and David Price tied for the lead with 20 wins each, and the most recent tie in the National League was in 2011, when Ian Kennedy and Clayton Kershaw tied with 21 wins each. The most pitchers to share the title in a single season is six, accomplished in 2006 when Aaron Harang, Derek Lowe, Brad Penny, John Smoltz, Brandon Webb, and Carlos Zambrano each won 16 games in the National League. In the American League, four pitchers shared the award in the strike-shortened 1981 season. Tommy Bond won the triple crown in 1877, leading the National League in wins, strikeouts, and earned run average. Grover Cleveland Alexander led the National League in wins six times in ten seasons. 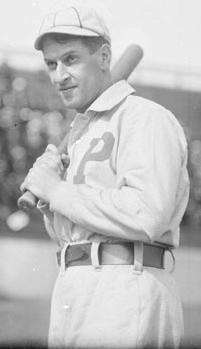 Hall of Famer Joe McGinnity captured the National League win championship five times. Kid Nichols led the National League in wins three consecutive seasons (1896–1898). Robin Roberts led the National League in wins four years in a row (1952–1955). Hall of Famer Sandy Koufax led the NL in wins three times before retiring at the age of 30. Jake Peavy's 19 wins in 2007 led all National League pitchers. 2006 Cy Young Award winner Brandon Webb led the National League with 22 wins in 2008. Adam Wainwright (19 wins) and St. Louis Cardinals teammate Chris Carpenter (17 wins) were first and second in the 2009 win table, respectively. Addie Joss led the American League in wins in 1907. 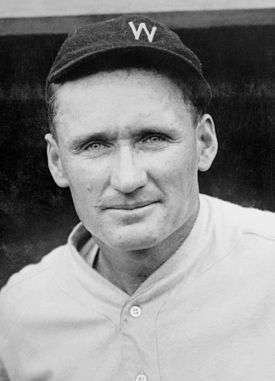 In addition to leading the American League in wins six times in his career and winning three triple crowns, Walter Johnson was one of the five charter members of the Baseball Hall of Fame. 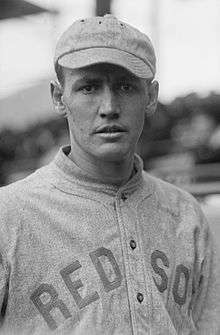 Joe Wood's 34 wins in 1912 were a career-high. 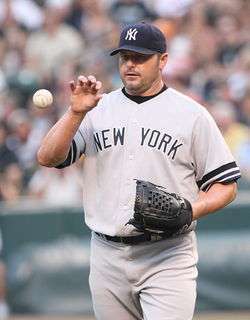 Roger Clemens won the most American League games in 1986 & 1987 for the Red Sox and 1997 & 1998 for the Blue Jays. Dave Stewart won 20 games in 1987, finishing second in AL wins the following three seasons. Josh Beckett's 20 wins in 2007 were best in the American League. Cliff Lee captured the Cy Young Award in 2008 in addition to winning 22 games. Félix Hernández won 19 games in 2009, one of three pitchers to do so. 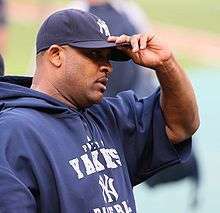 CC Sabathia started Game 1 of the 2009 World Series after winning 19 games for the Yankees that season. Justin Verlander also led the American League in strikeouts and innings pitched in 2009. Claude Hendrix led the Federal League with 29 wins in its inaugural season. 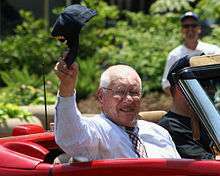 a Recognized "major leagues" include the current American and National Leagues and several defunct leagues—the American Association, the Federal League, the Players' League, and the Union Association. 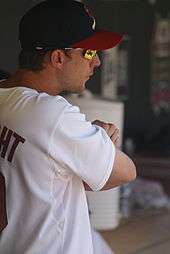 b A pitcher must throw a minimum of one inning per game scheduled for his team during the season (currently 162 innings per 162 games) to qualify for the win title. "Hall of Fame Pitching Register". Baseball-Reference.com. Retrieved February 9, 2010. "Yearly League Leaders & Records for Earned Run Average". Baseball-Reference.com. Retrieved January 31, 2010. ↑ "Career Leaders & Records for Wins". Baseball-Reference.com. Retrieved March 26, 2010. ↑ "The Official Scorer: Winning and Losing Pitcher" (PDF). Major League Baseball. Retrieved March 25, 2010. 1 2 "Cy Young Statistics and History". Baseball-Reference.com. Retrieved March 26, 2010. ↑ "Warren Spahn Statistics and History". Baseball-Reference.com. Retrieved March 26, 2010. ↑ "Pete Alexander Statistics and History". Baseball-Reference.com. Retrieved March 26, 2010. ↑ "Walter Johnson Statistics and History". Baseball-Reference.com. Retrieved March 26, 2010. ↑ "Bob Feller Statistics and History". Baseball-Reference.com. Retrieved March 26, 2010. ↑ "Joe McGinnity Statistics and History". Baseball-Reference.com. Retrieved March 26, 2010. ↑ "Tom Glavine Statistics and History". Baseball-Reference.com. Retrieved March 24, 2011. ↑ "Steve Carlton Statistics and History". Baseball-Reference.com. Retrieved March 26, 2010. ↑ "Roger Clemens Statistics and History". Baseball-Reference.com. Retrieved March 26, 2010. 1 2 "Christy Mathewson Statistics and History". Baseball-Reference.com. Retrieved March 26, 2010. ↑ "Hal Newhouser Statistics and History". Baseball-Reference.com. Retrieved March 26, 2010. ↑ "Robin Roberts Statistics and History". Baseball-Reference.com. Retrieved March 26, 2010. 1 2 3 4 "Single-Season Leaders & Records for Wins". Baseball-Reference.com. Retrieved March 26, 2010. ↑ "Jack Chesbro Statistics and History". Baseball-Reference.com. Retrieved March 26, 2010. ↑ "John Clarkson Statistics and History". Baseball-Reference.com. Retrieved March 26, 2010. ↑ "Charlie Buffinton Statistics and History". Baseball-Reference.com. Retrieved March 26, 2010. ↑ "Tim Keefe Statistics and History". Baseball-Reference.com. Retrieved March 26, 2010. ↑ "Ed Walsh Statistics and History". Baseball-Reference.com. Retrieved March 26, 2010. ↑ "Addie Joss Statistics and History". Baseball-Reference.com. Retrieved March 26, 2010. ↑ "Ed Summers Statistics and History". Baseball-Reference.com. Retrieved March 26, 2010. ↑ "1876 National League Pitching Leaders". Baseball-Reference.com. Retrieved January 31, 2010. ↑ "1877 National League Pitching Leaders". Baseball-Reference.com. Retrieved January 31, 2010. ↑ "1878 National League Pitching Leaders". Baseball-Reference.com. Retrieved January 31, 2010. ↑ "1879 National League Pitching Leaders". Baseball-Reference.com. Retrieved January 31, 2010. ↑ "1880 National League Pitching Leaders". Baseball-Reference.com. Retrieved January 31, 2010. ↑ "1881 National League Pitching Leaders". Baseball-Reference.com. Retrieved January 31, 2010. ↑ "1882 National League Pitching Leaders". Baseball-Reference.com. Retrieved January 31, 2010. ↑ "1883 National League Pitching Leaders". Baseball-Reference.com. Retrieved January 31, 2010. ↑ "1884 National League Pitching Leaders". Baseball-Reference.com. Retrieved January 31, 2010. ↑ "1885 National League Pitching Leaders". Baseball-Reference.com. Retrieved January 31, 2010. ↑ "1886 National League Pitching Leaders". Baseball-Reference.com. Retrieved January 31, 2010. ↑ "1887 National League Pitching Leaders". Baseball-Reference.com. Retrieved January 31, 2010. ↑ "1888 National League Pitching Leaders". Baseball-Reference.com. Retrieved January 31, 2010. ↑ "1889 National League Pitching Leaders". Baseball-Reference.com. Retrieved January 31, 2010. ↑ "1890 National League Pitching Leaders". Baseball-Reference.com. Retrieved January 31, 2010. ↑ "1891 National League Pitching Leaders". Baseball-Reference.com. Retrieved January 31, 2010. ↑ "1892 National League Pitching Leaders". Baseball-Reference.com. Retrieved January 31, 2010. ↑ "1893 National League Pitching Leaders". Baseball-Reference.com. Retrieved January 31, 2010. ↑ "1894 National League Pitching Leaders". Baseball-Reference.com. Retrieved January 31, 2010. ↑ "1895 National League Pitching Leaders". Baseball-Reference.com. Retrieved January 31, 2010. ↑ "1896 National League Pitching Leaders". Baseball-Reference.com. Retrieved January 31, 2010. ↑ "1897 National League Pitching Leaders". Baseball-Reference.com. Retrieved January 31, 2010. ↑ "1898 National League Pitching Leaders". Baseball-Reference.com. Retrieved January 31, 2010. ↑ "1899 National League Pitching Leaders". Baseball-Reference.com. Retrieved January 31, 2010. ↑ "1900 National League Pitching Leaders". Baseball-Reference.com. Retrieved January 31, 2010. ↑ "1901 National League Pitching Leaders". Baseball-Reference.com. Retrieved January 31, 2010. ↑ "1902 National League Pitching Leaders". Baseball-Reference.com. Retrieved January 31, 2010. ↑ "1903 National League Pitching Leaders". Baseball-Reference.com. Retrieved January 31, 2010. ↑ "1904 National League Pitching Leaders". Baseball-Reference.com. Retrieved January 31, 2010. ↑ "1905 National League Pitching Leaders". Baseball-Reference.com. Retrieved January 31, 2010. ↑ "1906 National League Pitching Leaders". Baseball-Reference.com. Retrieved January 31, 2010. ↑ "1907 National League Pitching Leaders". Baseball-Reference.com. Retrieved January 31, 2010. ↑ "1908 National League Pitching Leaders". Baseball-Reference.com. Retrieved January 31, 2010. ↑ "1909 National League Pitching Leaders". Baseball-Reference.com. Retrieved January 31, 2010. ↑ "1910 National League Pitching Leaders". Baseball-Reference.com. Retrieved January 31, 2010. ↑ "1911 National League Pitching Leaders". Baseball-Reference.com. Retrieved January 31, 2010. ↑ "1912 National League Pitching Leaders". Baseball-Reference.com. Retrieved January 31, 2010. ↑ "1913 National League Pitching Leaders". Baseball-Reference.com. Retrieved January 31, 2010. ↑ "1914 National League Pitching Leaders". Baseball-Reference.com. Retrieved January 31, 2010. ↑ "1915 National League Pitching Leaders". Baseball-Reference.com. Retrieved January 31, 2010. ↑ "1916 National League Pitching Leaders". Baseball-Reference.com. Retrieved January 31, 2010. ↑ "1917 National League Pitching Leaders". Baseball-Reference.com. Retrieved January 31, 2010. ↑ "1918 National League Pitching Leaders". Baseball-Reference.com. Retrieved January 31, 2010. ↑ "1919 National League Pitching Leaders". Baseball-Reference.com. Retrieved January 31, 2010. ↑ "1920 National League Pitching Leaders". Baseball-Reference.com. Retrieved January 31, 2010. ↑ "1921 National League Pitching Leaders". Baseball-Reference.com. Retrieved January 31, 2010. ↑ "1922 National League Pitching Leaders". Baseball-Reference.com. Retrieved January 31, 2010. ↑ "1923 National League Pitching Leaders". Baseball-Reference.com. Retrieved January 31, 2010. ↑ "1924 National League Pitching Leaders". Baseball-Reference.com. Retrieved January 31, 2010. ↑ "1925 National League Pitching Leaders". Baseball-Reference.com. Retrieved January 31, 2010. ↑ "1926 National League Pitching Leaders". Baseball-Reference.com. Retrieved January 31, 2010. ↑ "1927 National League Pitching Leaders". Baseball-Reference.com. Retrieved January 31, 2010. ↑ "1928 National League Pitching Leaders". Baseball-Reference.com. Retrieved January 31, 2010. ↑ "1929 National League Pitching Leaders". Baseball-Reference.com. Retrieved January 31, 2010. ↑ "1930 National League Pitching Leaders". Baseball-Reference.com. Retrieved January 31, 2010. ↑ "1931 National League Pitching Leaders". Baseball-Reference.com. Retrieved January 31, 2010. ↑ "1932 National League Pitching Leaders". Baseball-Reference.com. Retrieved January 31, 2010. ↑ "1933 National League Pitching Leaders". Baseball-Reference.com. Retrieved January 31, 2010. ↑ "1934 National League Pitching Leaders". Baseball-Reference.com. Retrieved January 31, 2010. ↑ "1935 National League Pitching Leaders". Baseball-Reference.com. Retrieved January 31, 2010. ↑ "1936 National League Pitching Leaders". Baseball-Reference.com. Retrieved January 31, 2010. ↑ "1937 National League Pitching Leaders". Baseball-Reference.com. Retrieved January 31, 2010. ↑ "1938 National League Pitching Leaders". Baseball-Reference.com. Retrieved January 31, 2010. ↑ "1939 National League Pitching Leaders". Baseball-Reference.com. Retrieved January 31, 2010. ↑ "1940 National League Pitching Leaders". Baseball-Reference.com. Retrieved January 31, 2010. ↑ "1941 National League Pitching Leaders". Baseball-Reference.com. Retrieved January 31, 2010. ↑ "1942 National League Pitching Leaders". Baseball-Reference.com. Retrieved January 31, 2010. ↑ "1943 National League Pitching Leaders". Baseball-Reference.com. Retrieved January 31, 2010. ↑ "1944 National League Pitching Leaders". Baseball-Reference.com. Retrieved January 31, 2010. ↑ "1945 National League Pitching Leaders". Baseball-Reference.com. Retrieved January 31, 2010. ↑ "1946 National League Pitching Leaders". Baseball-Reference.com. Retrieved January 31, 2010. ↑ "1947 National League Pitching Leaders". Baseball-Reference.com. Retrieved January 31, 2010. ↑ "1948 National League Pitching Leaders". Baseball-Reference.com. Retrieved January 31, 2010. ↑ "1949 National League Pitching Leaders". Baseball-Reference.com. Retrieved January 31, 2010. ↑ "1950 National League Pitching Leaders". Baseball-Reference.com. Retrieved January 31, 2010. ↑ "1951 National League Pitching Leaders". Baseball-Reference.com. Retrieved January 31, 2010. ↑ "1952 National League Pitching Leaders". Baseball-Reference.com. Retrieved January 31, 2010. ↑ "1953 National League Pitching Leaders". Baseball-Reference.com. Retrieved January 31, 2010. ↑ "1954 National League Pitching Leaders". Baseball-Reference.com. Retrieved January 31, 2010. ↑ "1955 National League Pitching Leaders". Baseball-Reference.com. Retrieved January 31, 2010. ↑ "1956 National League Pitching Leaders". Baseball-Reference.com. Retrieved January 31, 2010. ↑ "1957 National League Pitching Leaders". Baseball-Reference.com. Retrieved January 31, 2010. ↑ "1958 National League Pitching Leaders". Baseball-Reference.com. Retrieved January 31, 2010. ↑ "1959 National League Pitching Leaders". Baseball-Reference.com. Retrieved January 31, 2010. ↑ "1960 National League Pitching Leaders". Baseball-Reference.com. Retrieved January 31, 2010. ↑ "1961 National League Pitching Leaders". Baseball-Reference.com. Retrieved January 31, 2010. ↑ "1962 National League Pitching Leaders". Baseball-Reference.com. Retrieved January 31, 2010. ↑ "1963 National League Pitching Leaders". Baseball-Reference.com. Retrieved January 31, 2010. ↑ "1964 National League Pitching Leaders". Baseball-Reference.com. Retrieved January 31, 2010. ↑ "1965 National League Pitching Leaders". Baseball-Reference.com. Retrieved January 31, 2010. ↑ "1966 National League Pitching Leaders". Baseball-Reference.com. Retrieved January 31, 2010. ↑ "1967 National League Pitching Leaders". Baseball-Reference.com. Retrieved January 31, 2010. ↑ "1968 National League Pitching Leaders". Baseball-Reference.com. Retrieved January 31, 2010. ↑ "1969 National League Pitching Leaders". Baseball-Reference.com. Retrieved January 31, 2010. ↑ "1970 National League Pitching Leaders". Baseball-Reference.com. Retrieved January 31, 2010. ↑ "1971 National League Pitching Leaders". Baseball-Reference.com. Retrieved January 31, 2010. ↑ "1972 National League Pitching Leaders". Baseball-Reference.com. Retrieved January 31, 2010. ↑ "1973 National League Pitching Leaders". Baseball-Reference.com. Retrieved January 31, 2010. ↑ "1974 National League Pitching Leaders". Baseball-Reference.com. Retrieved January 31, 2010. ↑ "1975 National League Pitching Leaders". Baseball-Reference.com. Retrieved January 31, 2010. ↑ "1976 National League Pitching Leaders". Baseball-Reference.com. Retrieved January 31, 2010. ↑ "1977 National League Pitching Leaders". Baseball-Reference.com. Retrieved January 31, 2010. ↑ "1978 National League Pitching Leaders". Baseball-Reference.com. Retrieved January 31, 2010. ↑ "1979 National League Pitching Leaders". Baseball-Reference.com. Retrieved January 31, 2010. ↑ "1980 National League Pitching Leaders". Baseball-Reference.com. Retrieved January 31, 2010. ↑ "1981 National League Pitching Leaders". Baseball-Reference.com. Retrieved January 31, 2010. ↑ "1982 National League Pitching Leaders". Baseball-Reference.com. Retrieved January 31, 2010. ↑ "1983 National League Pitching Leaders". Baseball-Reference.com. Retrieved January 31, 2010. ↑ "1984 National League Pitching Leaders". Baseball-Reference.com. Retrieved January 31, 2010. ↑ "1985 National League Pitching Leaders". Baseball-Reference.com. Retrieved January 31, 2010. ↑ "1986 National League Pitching Leaders". Baseball-Reference.com. Retrieved January 31, 2010. ↑ "1987 National League Pitching Leaders". Baseball-Reference.com. Retrieved January 31, 2010. ↑ "1988 National League Pitching Leaders". Baseball-Reference.com. Retrieved January 31, 2010. ↑ "1989 National League Pitching Leaders". Baseball-Reference.com. Retrieved January 31, 2010. ↑ "1990 National League Pitching Leaders". Baseball-Reference.com. Retrieved January 31, 2010. ↑ "1991 National League Pitching Leaders". Baseball-Reference.com. Retrieved January 31, 2010. ↑ "1992 National League Pitching Leaders". Baseball-Reference.com. Retrieved January 31, 2010. ↑ "1993 National League Pitching Leaders". Baseball-Reference.com. Retrieved January 31, 2010. ↑ "1994 National League Pitching Leaders". Baseball-Reference.com. Retrieved January 31, 2010. ↑ "1995 National League Pitching Leaders". Baseball-Reference.com. Retrieved January 31, 2010. ↑ "1996 National League Pitching Leaders". Baseball-Reference.com. Retrieved January 31, 2010. ↑ "1997 National League Pitching Leaders". Baseball-Reference.com. Retrieved January 31, 2010. ↑ "1998 National League Pitching Leaders". Baseball-Reference.com. Retrieved January 31, 2010. ↑ "1999 National League Pitching Leaders". Baseball-Reference.com. Retrieved January 31, 2010. ↑ "2000 National League Pitching Leaders". Baseball-Reference.com. Retrieved January 31, 2010. ↑ "2001 National League Pitching Leaders". Baseball-Reference.com. Retrieved January 31, 2010. ↑ "2002 National League Pitching Leaders". Baseball-Reference.com. Retrieved January 31, 2010. ↑ "2003 National League Pitching Leaders". Baseball-Reference.com. Retrieved January 31, 2010. ↑ "2004 National League Pitching Leaders". Baseball-Reference.com. Retrieved January 31, 2010. ↑ "2005 National League Pitching Leaders". Baseball-Reference.com. Retrieved January 31, 2010. ↑ "2006 National League Pitching Leaders". Baseball-Reference.com. Retrieved January 31, 2010. ↑ "2007 National League Pitching Leaders". Baseball-Reference.com. Retrieved January 31, 2010. ↑ "2008 National League Pitching Leaders". Baseball-Reference.com. Retrieved January 31, 2010. ↑ "2009 National League Pitching Leaders". Baseball-Reference.com. Retrieved January 31, 2010. ↑ "2010 National League Pitching Leaders". Baseball-Reference.com. Retrieved October 6, 2010. ↑ "2011 National League Pitching Leaders". Baseball-Reference.com. Retrieved September 29, 2010. ↑ "2012 National League Pitching Leaders". Baseball-Reference.com. Retrieved October 4, 2012. ↑ "2013 National League Pitching Leaders". Baseball-Reference.com. Retrieved September 30, 2013. ↑ "2014 National League Pitching Leaders". Baseball-Reference.com. Retrieved September 29, 2014. ↑ "2015 National League Pitching Leaders". Baseball-Reference.com. Retrieved October 5, 2015. ↑ "2016 National League Pitching Leaders". Baseball-Reference.com. Retrieved October 2, 2016. ↑ "The Fans Speak Out". Baseball Digest. Lakeside. 55 (10): 7. October 1996. ISSN 0005-609X. ↑ "Smoky Joe Wood Statistics and History". Baseball-Reference.com. Retrieved March 26, 2010. ↑ "1901 American League Pitching Leaders". Baseball-Reference.com. Retrieved January 31, 2010. ↑ "1902 American League Pitching Leaders". Baseball-Reference.com. Retrieved January 31, 2010. ↑ "1903 American League Pitching Leaders". Baseball-Reference.com. Retrieved January 31, 2010. ↑ "1904 American League Pitching Leaders". Baseball-Reference.com. Retrieved January 31, 2010. ↑ "1905 American League Pitching Leaders". Baseball-Reference.com. Retrieved January 31, 2010. ↑ "1906 American League Pitching Leaders". Baseball-Reference.com. Retrieved January 31, 2010. ↑ "1907 American League Pitching Leaders". Baseball-Reference.com. Retrieved January 31, 2010. ↑ "1908 American League Pitching Leaders". Baseball-Reference.com. Retrieved January 31, 2010. ↑ "1909 American League Pitching Leaders". Baseball-Reference.com. Retrieved January 31, 2010. ↑ "1910 American League Pitching Leaders". Baseball-Reference.com. Retrieved January 31, 2010. ↑ "1911 American League Pitching Leaders". Baseball-Reference.com. Retrieved January 31, 2010. ↑ "1912 American League Pitching Leaders". Baseball-Reference.com. Retrieved January 31, 2010. ↑ "1913 American League Pitching Leaders". Baseball-Reference.com. Retrieved January 31, 2010. ↑ "1914 American League Pitching Leaders". Baseball-Reference.com. Retrieved January 31, 2010. ↑ "1915 American League Pitching Leaders". Baseball-Reference.com. Retrieved January 31, 2010. ↑ "1916 American League Pitching Leaders". Baseball-Reference.com. Retrieved January 31, 2010. ↑ "1917 American League Pitching Leaders". Baseball-Reference.com. Retrieved January 31, 2010. ↑ "1918 American League Pitching Leaders". Baseball-Reference.com. Retrieved January 31, 2010. ↑ "1919 American League Pitching Leaders". Baseball-Reference.com. Retrieved January 31, 2010. ↑ "1920 American League Pitching Leaders". Baseball-Reference.com. Retrieved January 31, 2010. ↑ "1921 American League Pitching Leaders". Baseball-Reference.com. Retrieved January 31, 2010. ↑ "1922 American League Pitching Leaders". Baseball-Reference.com. Retrieved January 31, 2010. ↑ "1923 American League Pitching Leaders". Baseball-Reference.com. Retrieved January 31, 2010. ↑ "1924 American League Pitching Leaders". Baseball-Reference.com. Retrieved January 31, 2010. ↑ "1925 American League Pitching Leaders". Baseball-Reference.com. Retrieved January 31, 2010. ↑ "1926 American League Pitching Leaders". Baseball-Reference.com. Retrieved January 31, 2010. ↑ "1927 American League Pitching Leaders". Baseball-Reference.com. Retrieved January 31, 2010. ↑ "1928 American League Pitching Leaders". Baseball-Reference.com. Retrieved January 31, 2010. ↑ "1929 American League Pitching Leaders". Baseball-Reference.com. Retrieved January 31, 2010. ↑ "1930 American League Pitching Leaders". Baseball-Reference.com. Retrieved January 31, 2010. ↑ "1931 American League Pitching Leaders". Baseball-Reference.com. Retrieved January 31, 2010. ↑ "1932 American League Pitching Leaders". Baseball-Reference.com. Retrieved January 31, 2010. ↑ "1933 American League Pitching Leaders". Baseball-Reference.com. Retrieved January 31, 2010. ↑ "1934 American League Pitching Leaders". Baseball-Reference.com. Retrieved January 31, 2010. ↑ "1935 American League Pitching Leaders". Baseball-Reference.com. Retrieved January 31, 2010. ↑ "1936 American League Pitching Leaders". Baseball-Reference.com. Retrieved January 31, 2010. ↑ "1937 American League Pitching Leaders". Baseball-Reference.com. Retrieved January 31, 2010. ↑ "1938 American League Pitching Leaders". Baseball-Reference.com. Retrieved January 31, 2010. ↑ "1939 American League Pitching Leaders". Baseball-Reference.com. Retrieved January 31, 2010. ↑ "1940 American League Pitching Leaders". Baseball-Reference.com. Retrieved January 31, 2010. ↑ "1941 American League Pitching Leaders". Baseball-Reference.com. Retrieved January 31, 2010. ↑ "1942 American League Pitching Leaders". Baseball-Reference.com. Retrieved January 31, 2010. ↑ "1943 American League Pitching Leaders". Baseball-Reference.com. Retrieved January 31, 2010. ↑ "1944 American League Pitching Leaders". Baseball-Reference.com. Retrieved January 31, 2010. ↑ "1945 American League Pitching Leaders". Baseball-Reference.com. Retrieved January 31, 2010. ↑ "1946 American League Pitching Leaders". Baseball-Reference.com. Retrieved January 31, 2010. ↑ "1947 American League Pitching Leaders". Baseball-Reference.com. Retrieved January 31, 2010. ↑ "1948 American League Pitching Leaders". Baseball-Reference.com. Retrieved January 31, 2010. ↑ "1949 American League Pitching Leaders". Baseball-Reference.com. Retrieved January 31, 2010. ↑ "1950 American League Pitching Leaders". Baseball-Reference.com. Retrieved January 31, 2010. ↑ "1951 American League Pitching Leaders". Baseball-Reference.com. Retrieved January 31, 2010. ↑ "1952 American League Pitching Leaders". Baseball-Reference.com. Retrieved January 31, 2010. ↑ "1953 American League Pitching Leaders". Baseball-Reference.com. Retrieved January 31, 2010. ↑ "1954 American League Pitching Leaders". Baseball-Reference.com. Retrieved January 31, 2010. ↑ "1955 American League Pitching Leaders". Baseball-Reference.com. Retrieved January 31, 2010. ↑ "1956 American League Pitching Leaders". Baseball-Reference.com. Retrieved January 31, 2010. ↑ "1957 American League Pitching Leaders". Baseball-Reference.com. Retrieved January 31, 2010. ↑ "1958 American League Pitching Leaders". Baseball-Reference.com. Retrieved January 31, 2010. ↑ "1959 American League Pitching Leaders". Baseball-Reference.com. Retrieved January 31, 2010. ↑ "1960 American League Pitching Leaders". Baseball-Reference.com. Retrieved January 31, 2010. ↑ "1961 American League Pitching Leaders". Baseball-Reference.com. Retrieved January 31, 2010. ↑ "1962 American League Pitching Leaders". Baseball-Reference.com. Retrieved January 31, 2010. ↑ "1963 American League Pitching Leaders". Baseball-Reference.com. Retrieved January 31, 2010. ↑ "1964 American League Pitching Leaders". Baseball-Reference.com. Retrieved January 31, 2010. ↑ "1965 American League Pitching Leaders". Baseball-Reference.com. Retrieved January 31, 2010. ↑ "1966 American League Pitching Leaders". Baseball-Reference.com. Retrieved January 31, 2010. ↑ "1967 American League Pitching Leaders". Baseball-Reference.com. Retrieved January 31, 2010. ↑ "1968 American League Pitching Leaders". Baseball-Reference.com. Retrieved January 31, 2010. ↑ "1969 American League Pitching Leaders". Baseball-Reference.com. Retrieved January 31, 2010. ↑ "1970 American League Pitching Leaders". Baseball-Reference.com. Retrieved January 31, 2010. ↑ "1971 American League Pitching Leaders". Baseball-Reference.com. Retrieved January 31, 2010. ↑ "1972 American League Pitching Leaders". Baseball-Reference.com. Retrieved January 31, 2010. ↑ "1973 American League Pitching Leaders". Baseball-Reference.com. Retrieved January 31, 2010. ↑ "1974 American League Pitching Leaders". Baseball-Reference.com. Retrieved January 31, 2010. ↑ "1975 American League Pitching Leaders". Baseball-Reference.com. Retrieved January 31, 2010. ↑ "1976 American League Pitching Leaders". Baseball-Reference.com. Retrieved January 31, 2010. ↑ "1977 American League Pitching Leaders". Baseball-Reference.com. Retrieved January 31, 2010. ↑ "1978 American League Pitching Leaders". Baseball-Reference.com. Retrieved January 31, 2010. ↑ "1979 American League Pitching Leaders". Baseball-Reference.com. Retrieved January 31, 2010. ↑ "1980 American League Pitching Leaders". Baseball-Reference.com. Retrieved January 31, 2010. ↑ "1981 American League Pitching Leaders". Baseball-Reference.com. Retrieved January 31, 2010. ↑ "1982 American League Pitching Leaders". Baseball-Reference.com. Retrieved January 31, 2010. ↑ "1983 American League Pitching Leaders". Baseball-Reference.com. Retrieved January 31, 2010. ↑ "1984 American League Pitching Leaders". Baseball-Reference.com. Retrieved January 31, 2010. ↑ "1985 American League Pitching Leaders". Baseball-Reference.com. Retrieved January 31, 2010. ↑ "1986 American League Pitching Leaders". Baseball-Reference.com. Retrieved January 31, 2010. ↑ "1987 American League Pitching Leaders". Baseball-Reference.com. Retrieved January 31, 2010. ↑ "1988 American League Pitching Leaders". Baseball-Reference.com. Retrieved January 31, 2010. ↑ "1989 American League Pitching Leaders". Baseball-Reference.com. Retrieved January 31, 2010. ↑ "1990 American League Pitching Leaders". Baseball-Reference.com. Retrieved January 31, 2010. ↑ "1991 American League Pitching Leaders". Baseball-Reference.com. Retrieved January 31, 2010. ↑ "1992 American League Pitching Leaders". Baseball-Reference.com. Retrieved January 31, 2010. ↑ "1993 American League Pitching Leaders". Baseball-Reference.com. Retrieved January 31, 2010. ↑ "1994 American League Pitching Leaders". Baseball-Reference.com. Retrieved January 31, 2010. ↑ "1995 American League Pitching Leaders". Baseball-Reference.com. Retrieved January 31, 2010. ↑ "1996 American League Pitching Leaders". Baseball-Reference.com. Retrieved January 31, 2010. ↑ "1997 American League Pitching Leaders". Baseball-Reference.com. Retrieved January 31, 2010. ↑ "1998 American League Pitching Leaders". Baseball-Reference.com. Retrieved January 31, 2010. ↑ "1999 American League Pitching Leaders". Baseball-Reference.com. Retrieved January 31, 2010. ↑ "2000 American League Pitching Leaders". Baseball-Reference.com. Retrieved January 31, 2010. ↑ "2001 American League Pitching Leaders". Baseball-Reference.com. Retrieved January 31, 2010. ↑ "2002 American League Pitching Leaders". Baseball-Reference.com. Retrieved January 31, 2010. ↑ "2003 American League Pitching Leaders". Baseball-Reference.com. Retrieved January 31, 2010. ↑ "2004 American League Pitching Leaders". Baseball-Reference.com. Retrieved January 31, 2010. ↑ "2005 American League Pitching Leaders". Baseball-Reference.com. Retrieved January 31, 2010. ↑ "2006 American League Pitching Leaders". Baseball-Reference.com. Retrieved January 31, 2010. ↑ "2007 American League Pitching Leaders". Baseball-Reference.com. Retrieved January 31, 2010. ↑ "2008 American League Pitching Leaders". Baseball-Reference.com. Retrieved January 31, 2010. ↑ "2009 American League Pitching Leaders". Baseball-Reference.com. Retrieved January 31, 2010. ↑ "2010 American League Pitching Leaders". Baseball-Reference.com. Retrieved October 6, 2010. ↑ "2011 American League Pitching Leaders". Baseball-Reference.com. Retrieved September 29, 2011. ↑ "2012 American League Pitching Leaders". Baseball-Reference.com. Retrieved October 4, 2012. ↑ "2013 American League Pitching Leaders". Baseball-Reference.com. Retrieved September 30, 2013. ↑ "2014 American League Pitching Leaders". Baseball-Reference.com. Retrieved September 29, 2014. ↑ "2015 American League Pitching Leaders". Baseball-Reference.com. Retrieved October 5, 2015. ↑ "2016 American League Pitching Leaders". Baseball-Reference.com. Retrieved October 2, 2016. ↑ "1882 American Association Pitching Leaders". Baseball-Reference.com. Retrieved January 31, 2010. ↑ "1883 American Association Pitching Leaders". Baseball-Reference.com. Retrieved January 31, 2010. ↑ "1884 American Association Pitching Leaders". Baseball-Reference.com. Retrieved January 31, 2010. ↑ "1885 American Association Pitching Leaders". Baseball-Reference.com. Retrieved January 31, 2010. ↑ "1886 American Association Pitching Leaders". Baseball-Reference.com. Retrieved January 31, 2010. ↑ "1887 American Association Pitching Leaders". Baseball-Reference.com. Retrieved January 31, 2010. ↑ "1888 American Association Pitching Leaders". Baseball-Reference.com. Retrieved January 31, 2010. ↑ "1889 American Association Pitching Leaders". Baseball-Reference.com. Retrieved January 31, 2010. ↑ "1890 American Association Pitching Leaders". Baseball-Reference.com. Retrieved January 31, 2010. ↑ "1890 Players' League Pitching Leaders". Baseball-Reference.com. Retrieved January 31, 2010. ↑ "1891 American Association Pitching Leaders". Baseball-Reference.com. Retrieved January 31, 2010. ↑ "1914 Federal League Pitching Leaders". Baseball-Reference.com. Retrieved January 31, 2010. ↑ "1915 Federal League Pitching Leaders". Baseball-Reference.com. Retrieved January 31, 2010. ↑ "Complete Baseball Team and Baseball Team Encyclopedias". Baseball-Reference.com. Retrieved March 16, 2010. ↑ "Official Rules: 10.00 The Official Scorer". Major League Baseball. Retrieved March 2, 2010.